Trans-Pacific Aerospace (TPAC) is engaged in the business of designing and engineering products for aerospace, military and industrial applications. It utilizes a Service Level Agreement with Godfrey Guangzhou to manufacture products in its full-scale manufacturing facility in China. TPAC's Cage Code is 6CF15 and Godfrey Guangzhou's is SNV89. We offer a full range of SAE-AS81820 self-lubricating plain spherical bearings and SAE-AS81934 self-lubricating bushings, certified for aerospace use by NAVAIR. Godfrey Guangzhou is the only China-based manufacturer to be awarded NAVAIR/SAE approval for these products. By utilizing a skilled local supply chain and an experienced United States design and manufacturing team, we are able to offer our customers significantly improved delivery times and superior products at extremely competitive prices, all while using United States produced raw materials and US based product and tooling designs. 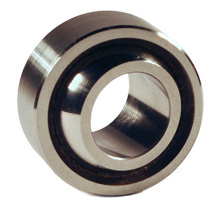 Trans-Pacific Aerospace offers a full range of SAE-AS81820 self-lubricating plain spherical bearings and SAE-AS81934 self-lubricating bushings engineered to withstand the harshest of conditions. Trans-Pacific Aerospace bearings are qualified by the U.S. Navy to SAE standards and TPAC is listed on the Navy's QPL. This NAVAIR qualification is accepted worldwide as the industry standard for bearings.